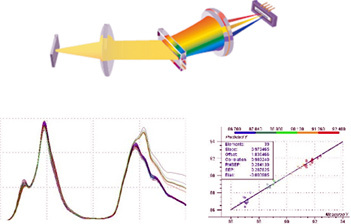 Spectroscopic analyzing instrument is consist of opto-electronic and spectrometer, and Chemometrics is applied to predict quantitative estimates of substances in a way of nondestructive measurement. Engineered by leading professionals in opto-electronic and analytical chemistry, Sunforest NIR spectroscopy is doing best efforts to satisfy requirements from both experts and general users. 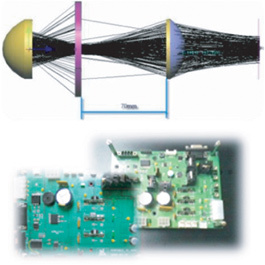 Sunforest effectively optimized optical sensor mechanism by computerized design simulation, and owns exclusive algorithm intimately cooperated with the NIR spectroscopy instrument and provides precise analysis of light spectrum. Sunforest optical packaging technology integrates light source, photo-diode, and filter onto a single module. Miniaturized module is used in line with product variation without exploring technical complicity. 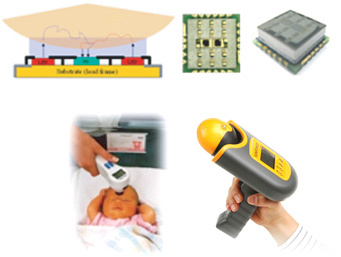 Sunforest does his best to release the most cost effective NIR instrument enabling real time, on-site analysis without hectic training. 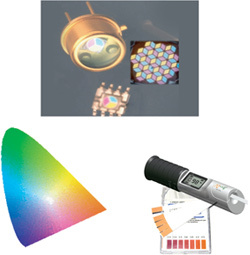 Color-difference signal provides useful information of subject materials. Sunforest’s RGB optical sensor identifying a constituent of materials, is used in the instrument of acidity measurement, chromatography, fruit ripeness judgement.